What is Breadcrumb used for? 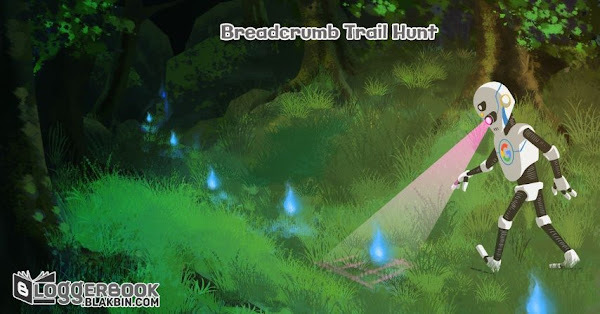 Breadcrumb trail or A breadcrumb is an element frequently used as a navigational aid in programs, even website or blogs. It allows users to keep track of and maintain their awareness of locations within programs, documents, or websites, or blogs. In a website, Breadcrumbs typically appear horizontally across the top of a Web page, often below title bars or headers. They provide links back to each previous page from the current page or in hierarchical site structure the parent pages of the current page. Breadcrumbs provide a trail for the user to follow back to the starting or entry point. Breadcrumb often serves with a "greater-than sign" (>) as hierarchy separator, although designers may use other glyphs (such as » or › or /), as well as various graphical icons. Blogger only has two hierarchical structure, Blog page, and Blog Post. Most blogger Blogspot user used their tag label for use as the breadcrumb. Having breadcrumb means organizing our posts to be structured. Organizing posts based on labels is a bit difficult, from what we usually carelessly when labeling tags on a post, now we must be careful when giving them tags. The example above is an example of a post that has a label "Grape". In order to make it organized we must give the "Fruit" and "Food" label in that post. Another example is a post related to "Fruit" as well, just call it "Orange", because it includes derivatives of "Food" and "Fruit", so we must also give the label. > Visitors will always like breadcrumbs, Google does too. If you searching something in Google maybe you will found a breadcrumb in result too. It makes your result much more enticing to users. Also, breadcrumbs give Google another way of figuring out how our website is structured. To increase the chances of your breadcrumbs appearing in Google, we need to add structured data format inside our blog.